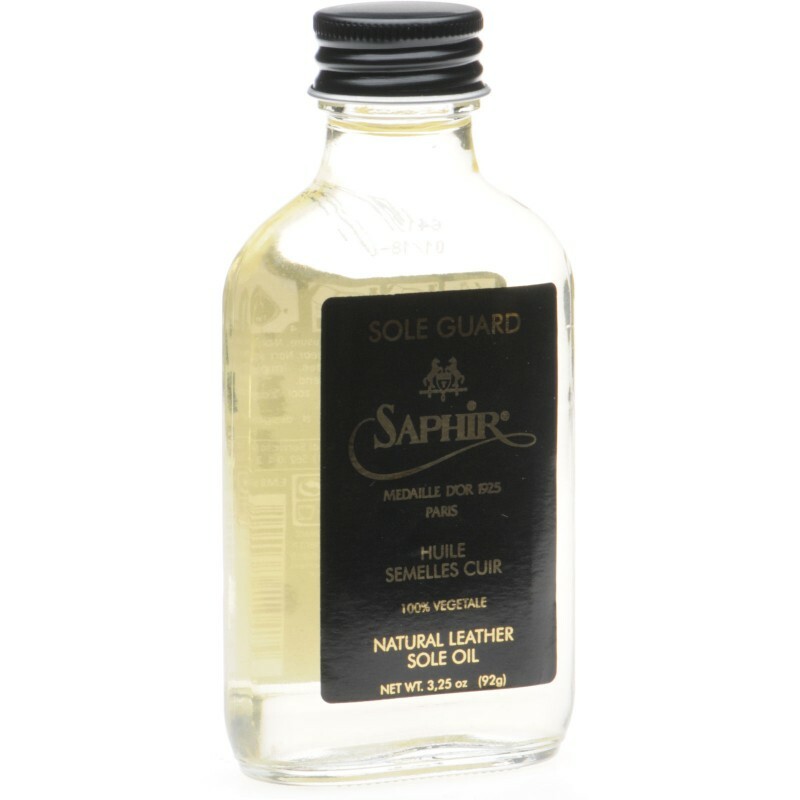 Natural Leather Sole Oil is intended to help seal your leather soles from water penetration. This has a double benefit of keeping your feet dry (although water can get in through the upper and seams depending on construction) and stops the leather from wearing out as fast. Water swells the leather and makes it less resistant to scuffing and wear. You apply the product directly to the sole with a cloth and leave to dry - approximately one hour. Avoid walking on internal flooring where some transfer of the oil to carpets etc could occur.